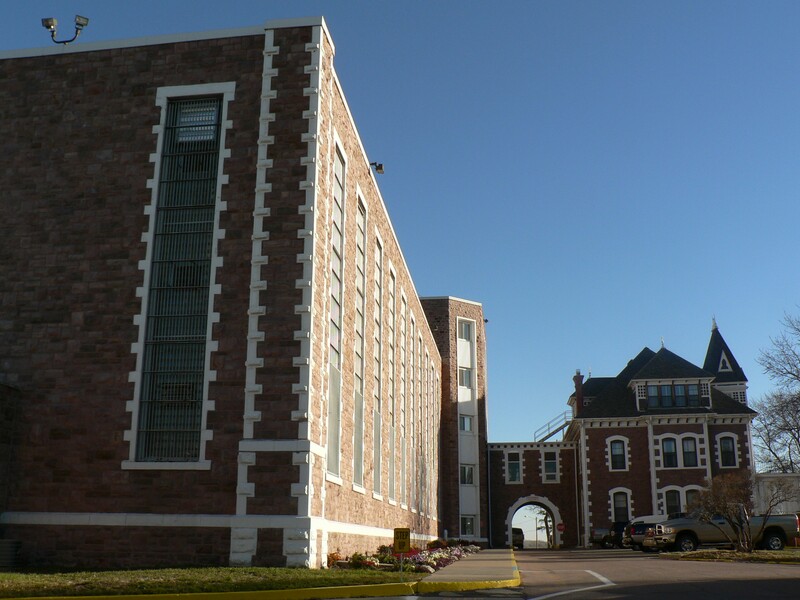 An exterior view of the South Dakota State Penitentiary. A view of the Senior Correctional Officer Ronald "RJ" Johnson Training Academy on the SDSP grounds. A look at several cells in West Hall. Views of the tiers of cells at SDSP. A view of one of the classrooms at SDSP. 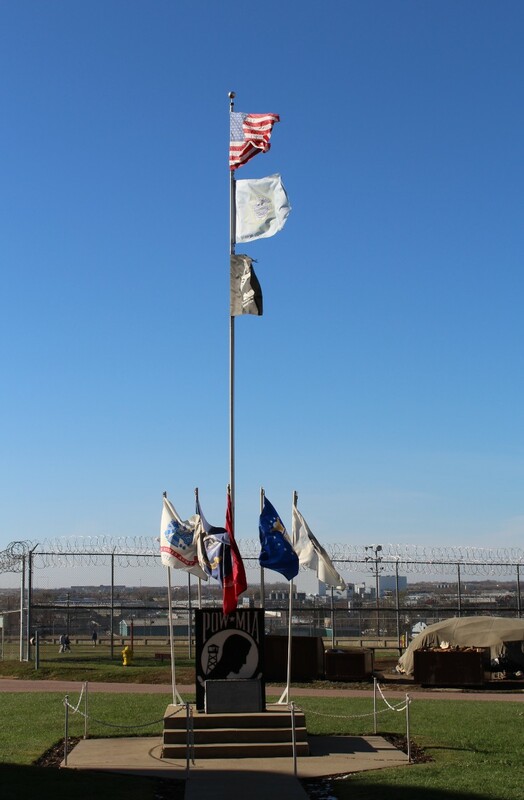 A Veteran's Memorial is located in the prison yard. windows in the Hope Chapel. An inmate painted this mural outside the SDSP dining hall. 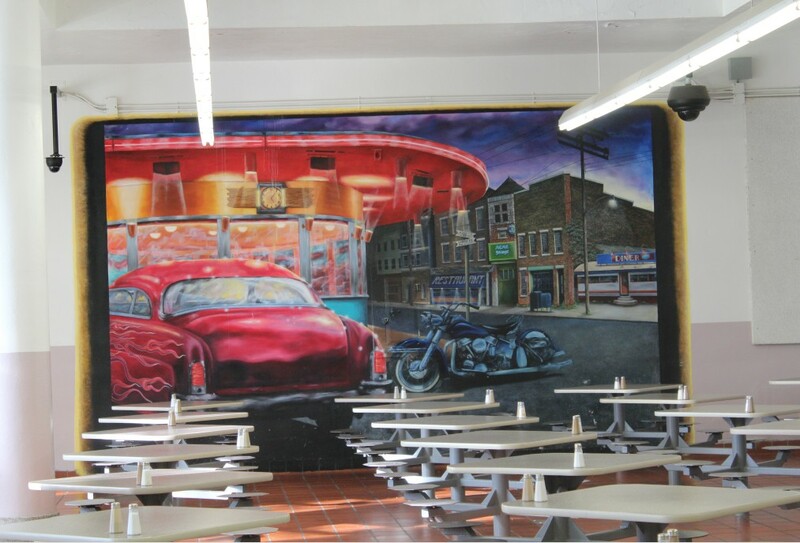 Another inmate produced mural inside the Penitentiary dining hall.